Material: Lining: 100% polyester. Lace: 60% polyamide, 35% viscose, 5% elastane. 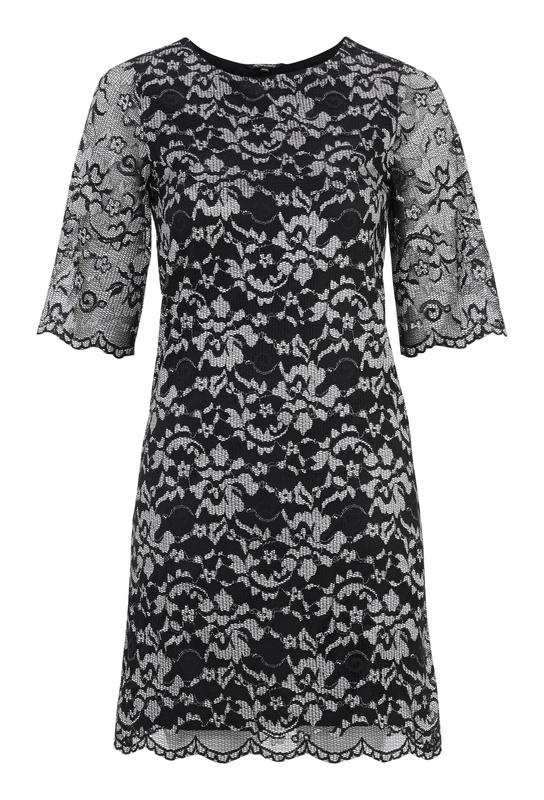 Beautiful lace dress from HAPPY HOLLY. The dress has wide, 1/2 length sleeves and is slightly wider at the bottom. - Lined with stretchy tricot fabric. Back length from shoulder 92 cm, bust 92 cm in size 36/38.